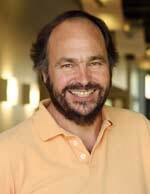 An interview with VMware's new CEO Paul Maritz. Recently Paul Maritz spoke with the Virtualization Review magazine editorial team about a range of topics, including the challenges of competing with Microsoft and Citrix Systems Inc., the promise of next-generation operating systems and VMware's plans for pricing its product suite. Virtualization Review: Knowing Microsoft as well as you do, what's your sense of how badly the company wants to dominate in the virtualization market? Maritz: I think they see approximately $2 billion worth of revenues going toward VMware, and they would very much like to divert a substantial portion of that toward Microsoft. Additionally, through virtualization, VMware has become a strategic vendor to many of their customers. Microsoft likes to control things top to bottom. [But] I think Steve Ballmer spends many, many more cycles worrying about Google than he does about VMware. What competitive lengths do you think Microsoft will go to in order to win? They're using all of their traditional approaches. So it's incumbent upon us to deliver differentiated value going forward. In some ways Microsoft has paid us an indirect compliment by essentially endorsing all of our features and saying that these are the right set of features, they will have all of them, and they will have them at half the price, but in two years' time. "I don't think VMware is a mortal threat to Microsoft in the way that maybe Google is." Paul Maritz, President and CEO, VMware Inc.
What's your biggest advantage in terms of technical differentiation? We have some specific features that are important to customers … So we are ahead of them on features on the one hand. On the other hand, there's a difference in the strategic view between us and Microsoft; we believe there is and ought to be a substrate of software in the data center capable of delivering greater efficiency and flexibility … [one] that does so in a fundamentally application load- independent fashion. One that can handle Windows-based, Linux-based application loads as well as future kinds … whereas Microsoft's is a very Windows-centric view of the future. Is it important that VMware come up with its own OS variant? Not a traditional OS, but a variant that's one piece of a larger cloud strategy? It's not essential. If you did that it would be kind of interesting, but [it's] not a critical thing. Are you currently working on such a technology? We're thinking about it, but we're not working on it. Citrix, Microsoft and other competitors can say, 'Maybe our stuff doesn't offer everything VMware does, but it might be good enough.' How do you respond to the 'good enough' argument? Is that going to give these companies an entry into the market? You have to respond to it like every software vendor does in terms of having to deal with the price-functionality tradeoff. You need to make sure that at any point in time, your price-functionality proposition is convincing. If you stand still and do not do anything new, then inevitably the competition will catch up … The good news is, I think we collectively are all in the early journey on the virtualization road, and there are a lot of things that can still be done and a lot of value that can be delivered to customers that has not yet been implemented. You've made ESXi free, which was a necessary step. Are we going to see similar competitive price drops for VMware Infrastructure? We're in a competitive environment, and we know we have to respond accordingly. We're not going to [have] our heads in the sand. Our intent is to stay ahead on functionality. Are there still some things in the data center environment that should not be virtualized? Or are we at the point where companies can take their mission-critical applications and virtualize them? We have many large customers who are on a journey … in the next 12 to 18 months to have everything that can possibly be run on an x86 processor virtualized. Our goal is to get to a 100 percent virtualized environment. The only reason some of them may not get there completely is that some users have stuff that still runs on IBM mainframes.